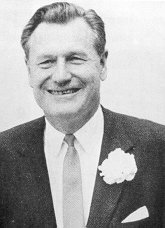 Memory here recalls when Nelson Rockefeller, an immensely popular politician, completely disqualified himself from the presidency in 1964 by taking a divorce. So popular was Rockefeller in fact, that, on the day the John Kennedy was assassinated in Dallas, the President was there in full campaign mode in anticipation of running against Rockefeller the following year. Kennedy had barely beaten Richard Nixon in 1960, and Rockefeller was far more popular than was Nixon. So deleterious to one’s career –and not just to Catholics—divorce at the time destroyed both families and careers. Despite protestations to the contrary, divorce, while sad, certainly does not have the social stigma that it once did. Consider another highly volatile issue: abortion. In the same time period when divorce ruined Rockefeller and many others, abortion was considered anathema and abhorrent –and criminal–and not just to Catholics. It is again beyond reasonable dispute that abortion, like divorce, while sad, is now very commonly accepted. Most of the elder generation who had advantages were raised in a rigid, classical, Aristotelian environment where right was right and wrong was wrong with no grey area in between. These reminiscences raise a disturbing question: is Aristotelian teaching on right or wrong today, the moral beacon we were taught it was, or is the moral beacon simply what everyone does and appears to except? Let me give you a less serious example of how what everyone does leads even the most bashful to follow others into the fold. In Uruguay, there is a beach called Playa Chihuahua where girls, of all ages, run around naked. Playa Chihuahua is a vastly popular destination beach for virtually every other nation except America. It is an interesting point to witness the herd mentality of people about being naked on a beach. One gets used to seeing Arab girls, who are visiting from the more well known, and more sedate, beaches of Punta del Este, clothed head to foot in black, coming to the beach and staring in wonderment at all the naked girls. And, within one half hour they were completely naked themselves. This raises what is perhaps the most salient issue of our age: is rigid Aristotelian truth enshrined in stone, or does modern mankind more often than not take its moral moorings simply based upon what everyone else appears to be accepting and doing? That is, do circumstances alter cases? Does the herd lead all the sheep? As this debate concerns, in part, politicians in American history who were divorced, look at more recent times. Today, divorce is not at all a political death knell, see Ronald Reagan, the most popular politician in modern times. The current issue in America is not whether American politicians are divorced or have other human frailties, the issue is that politicians are today irredeemably useless. The American people would be happy to have a politician who is simply effective as president, not withstanding his marital track record. Very few people at Washington understand the degree of anger engendered by the uselessness of politicians. In happy times of plenty—the 1980’s and 1990’s come quickly to mind–America can have useless politicians and it does not matter. In America today, there is tremendous poverty, social dislocation and fear—all of it hidden away and never discussed. The media ignores this horror and the politicians pretend it is not happening. Yet there are many under the bridges with no food, no job, no hope. A sizeable number of these souls have fallen from comfortable middle class surroundings–not likely ever to return. Many more turn sleeplessly at night worried to death that under the bridge they may be going as well soon enough. This situation can not be allowed to stand. If one reads history one realizes that most rebellions are not ideologically based. Frequently, revolutions are about the lack of, or high cost of, bread and other basic staples of life. When revolution comes, it is swift and merciless. One does not need to be a tarot card reader to see that the age of the demagogue is fast upon us. Remember that Hitler came to power not because of his ideology but rather because of social dislocation, poverty and mass unemployment coupled with the uselessness of the Wiemar Republic in its’ attempts to address these issues quickly and effectively. If the rise of a demagogue in America and West Europe is to be avoided, and frankly, it cannot be avoided if things stand as they now do, politicians must change their habits and quickly. Otherwise, a fascist will rise up among us and he will have massive popular support to do away with the presiding political class because it is utterly useless.